Harvard University on Wednesday proposed a curriculum overhaul to emphasize sciences, religious beliefs, and world cultures, according to a faculty committee final report. The recommendations come after years of internal debate over what courses should be required of all Harvard students. The current core curriculum at the nation's oldest college has been criticized for focusing on narrow academic questions rather than real-world issues. The final report calls for Harvard to require students to take a course in "culture and belief," to introduce students to religion and ideas. The report calls for mandatory studies in seven areas, including analytical reasoning, ethical reasoning, physical sciences and related engineering, world societies and "United States in the World" to help students connect to societies elsewhere. "It is Harvard's mission to help students to lead flourishing and productive lives by providing a general education curriculum that is responsive to the conditions of the 21st century," the faculty committee said in a statement. The recommendations are the latest chapter in a lengthy saga over revamping the university's core curriculum, which dates to the 1970s. Former President Lawrence Summers made reform a priority in 2001, but the work of several committees bogged down and initial recommendations were criticized as weak. Summers resigned last year, forced out by faculty anger over his remarks that gender difference might in part explain a lack of women in the top science jobs, but also over his handling of other matters, including the curriculum review. Harvard President Derek Bok said in a statement Wednesday that committee members did "an excellent job of listening to their colleagues and crafting a thoughtful and coherent structure to further the aims of a strong undergraduate education." The report was distributed to the faculty on Wednesday. The recommendations would be adopted after a vote by Harvard's Faculty of Arts and Sciences, which meets Feb. 13. 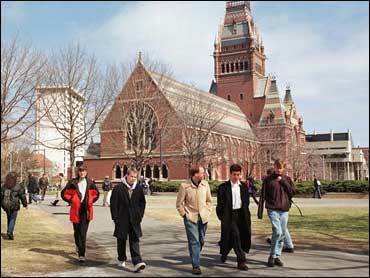 Harvard was founded 370 years ago to train Puritan ministers. In its preliminary report in October, the faculty committee noted that while Harvard is no longer a religious institution, "religion is a fact that Harvard's graduates will confront in their lives." The preliminary report said 94 percent of incoming students indicate they discuss religion and 71 percent attend services.